Our center’s mission is to preserve and promote the Mahayana Buddhist tradition in Silicon Valley through education, practice and service. Welcome. Here is an overview of the programs offered at our center located in Campbell, a small town near West San Jose. This is the location of our weekly events which include Buddhist classes and practice sessions, as well as yoga and mindfulness based stress reduction which are listed under Wellness Programs.The Buddhist tradition that we teach is that of His Holiness the Dalai Lama, following the instructions of our spiritual head, Kyabje Lama Zopa Rinpoche. All instructors teaching Buddhist topics at our center have been approved by our organization as qualified to teach those specific levels. If you have any questions, do not hesitate to contact us. Ocean of Compassion (Gyalwa Gyatso) Buddhist Center is the Silicon Valley center affiliated with the Foundation for the Preservation of the Mahayana Tradition, FPMT. Since 2007, we have been located in Campbell, a neighborhood of the greater San Jose area, bordering Saratoga and Los Gatos. We are part of the Gelug lineage of what is usually called “Tibetan” Buddhism. 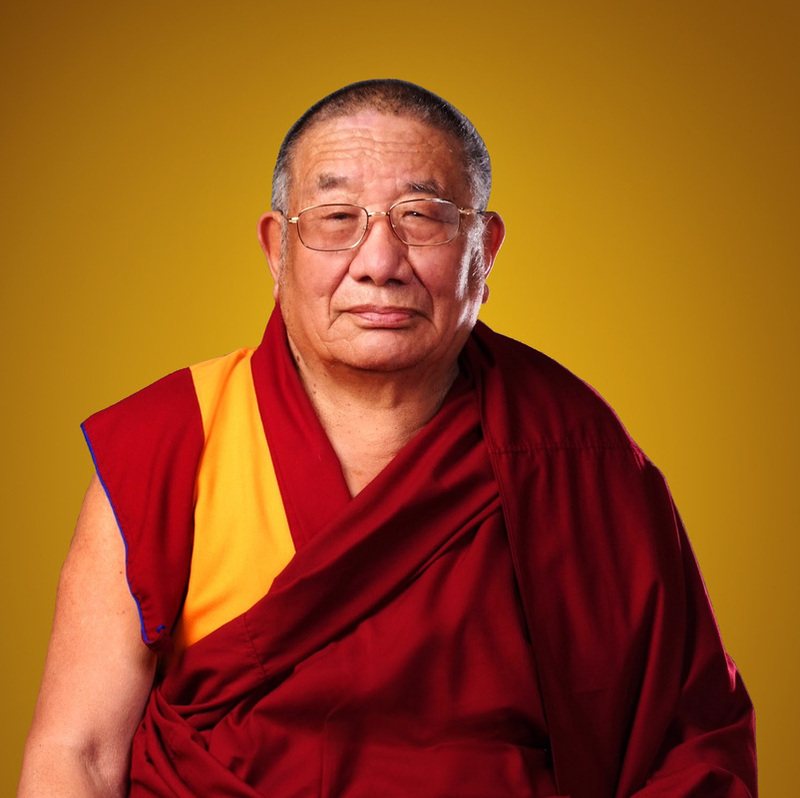 His Holiness the Dalai Lama is the spiritual inspiration for our organization and Kyabje Lama Thubten Zopa Rinpoche is the spiritual director. Our mission is to preserve and promote the Mahayana Buddhist tradition in Silicon Valley through education, practice and service. Our center conducts on-going courses in Buddhist philosophy and practice. We also host special events with authentic teachers in our tradition, including Tibetan lamas, qualified international monks and nuns, and experienced Western Dharma students. We also have a growing Wellness Program. We are registered under the name Gyalwa Gyatso Buddhist Center as a non-profit religious organization under section 501(c)(3) of the Internal Revenue Code, and donations are tax-deductible. We offer on-going classes from the FPMT curriculum as well as special courses by qualified visiting teachers. People often ask how to get started; the answer is to come to a class. There is no perfect class to begin with but it’s good if you can come when a course is starting. That will be less confusing than trying to join in the middle. Unless otherwise stated, you are welcome to come to any of these. You don’t have to be Buddhist to come to these. If you are relatively new to Buddhism, or at least to this tradition, Discovering Buddhism is a good place to jump in. Tuesday evenings, 7pm, usually 5 weeks per course on different aspects of Buddhism. We invite various qualified guest teachers, such as university professors and senior Dharma practitioners to give open talks. Guest speakers sometimes give general talks and sometimes speak about topics which require more background. Geshe Ngawang Dakpa, a Tibetan lama resident in San Francisco, comes down to teach at our center periodically. Check calendar for teaching dates. We host other classes which are compatible with and supportive of our center’s goals and philosophies, but which are not specifically Buddhist. These physical yoga exercises are helpful for improving one’s general sense of well-being and are also useful for meditators who wish to sit more comfortably. The underlying energy work which is at the heart of yoga has counterparts in the secret teachings of Tibetan Buddhism, whereas in these open classes you can do similar energy work without any initiation or commitment. 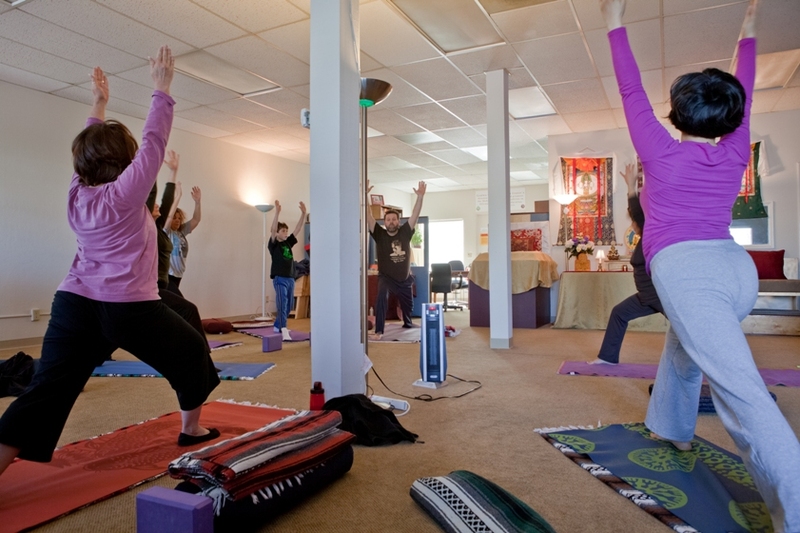 At times, we also host other wellness programs such as Qigong and Tibetan Medicine classes and clinics. See the calendar for those dates. many other people who help with cleaning, setting up, recording, publicizing, hosting, etc. Thank you! 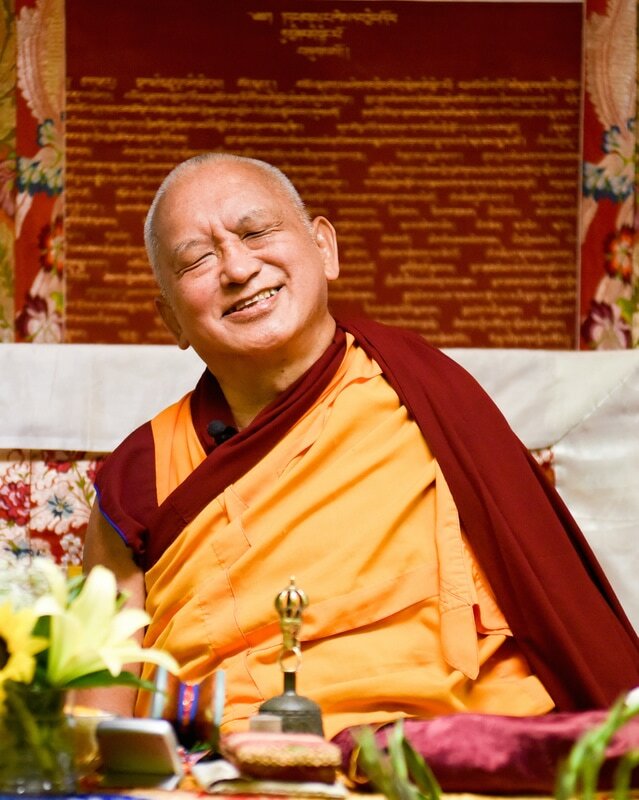 We have a very auspicious name, given to us by Kyabje Lama Zopa Rinpoche. Ocean of Compassion is a loose translation of our center’s Tibetan name. Gyalwa Gyatso is the Tibetan name of the esoteric form of the Buddha of Compassion, (Tib. Chenrezig; Skt. Avalokiteshvara). Gyalwa means Victorious One and Gyatso means Ocean. Anyone who has been attending classes and teachings at Gyalwa Gyatso Buddhist Center for a while has had the difficult experience of trying to spell or pronounce our name. There is that moment after you pronounce the name as best you can and you get that wide eyed look from the listener indicating to you they are totally befuddled and flummoxed. Repeating it does no good. This problem extends itself to promoting the center. People can’t say, much less remember, our name. Hence they ignore it in large part. After much thought and consultation with FPMT international office we have decided to make a change to how we label ourselves. Our name is too important and auspicious to change. But we can use it in its English form Ocean of Compassion Buddhist Center. We are going to go by our translated name starting now, Ocean of Compassion Buddhist Center. This doesn’t change the meaning and definition of our name, just the language we use to label it. In the Spring of 2007, we got a new logo. It has been carefully drawn by Ven. Ingrid Norzin Braun according to the instructions of Lama Zopa Rinpoche. 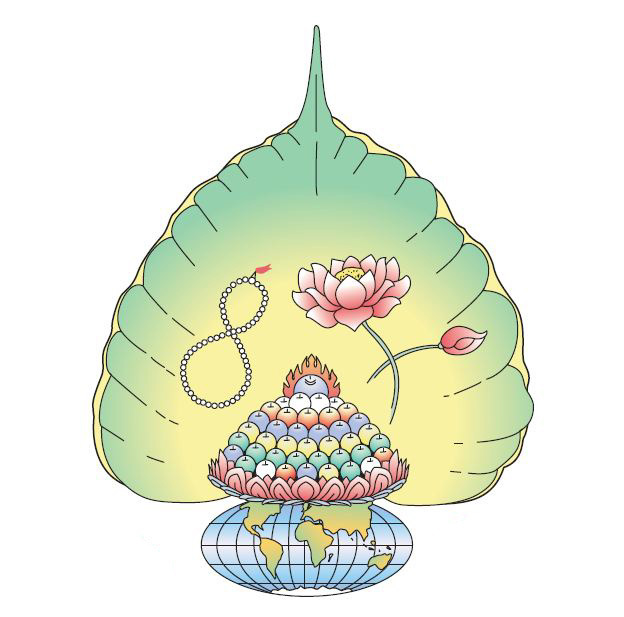 The mala (string of prayer beads) and lotus are the implements held by Gyalwa Gyatso, who is an esoteric aspect of the Buddha of Compassion, Avalokiteshvara, Chenrezig. These sit inside a Bodhi leaf reminding us of the tree under which the Buddha sat when he attained enlightenment in Bodhgaya, India. On top of the world is a heap of jewels bringing abundance and good fortune for all our Dharma activities.